I love talking about health related topics on here, but one that I have avoided until now is weight loss. Weight plays a big roll in our overall health, but I’ve never really felt “qualified” to talk about it. 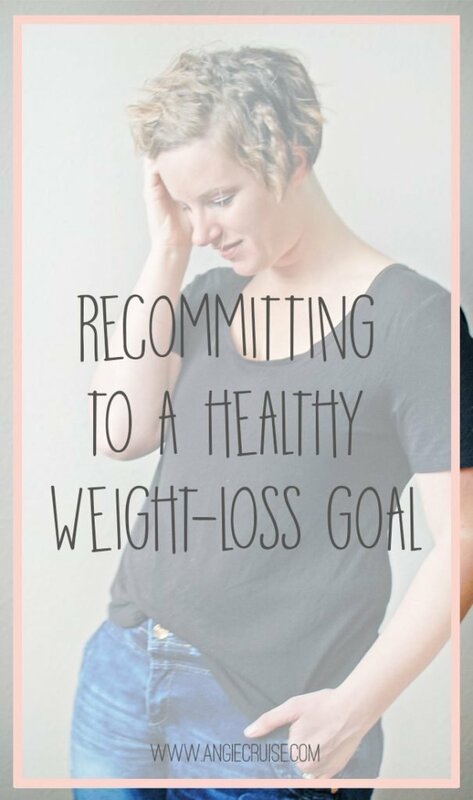 I’m recommitting to a new healthy weight loss goal, though, and wanted to share the journey! For most of my adult life, I’ve been considered overweight. (I really hate that word). Sure, there was that brief stint in college where I got down to a size 5 after a really bad breakup, but that didn’t last long. Soon after, I met my now-husband, and gradually, the weight came back. I told myself it wasn’t a big deal. It was just a few pounds…or 20. It was just a couple of pants sizes…or 5. Eventually, it got out of hand. They fit. A little snug, actually. That day, I knew something had to change. I’d struggled even before getting pregnant, trying to lose a little weight, but nothing seemed to work. That was the day we started taking steps towards a healthier lifestyle. We started cutting out fast food, processed food, and sugar. I lost 30 pounds that year and had a newfound confidence. From there, I started talking to my cousin who was very passionate about the Paleo diet, and thought, “well, that’s hardly different than what I’m doing. We’ll cut bread and see what happens!” I lost another 10 pounds without even trying. It truly was healthy weight loss, which is what I’d been striving for. But slowly…the weight started coming back. Sure, it stayed gone for a couple of years. It felt almost effortless. But, during that time, my hormones started changing and my energy started to dip. I started craving carb heavy foods. My cycle ranged anywhere from 20 days to 32 days. Before I knew it, weight was creeping back, and no matter how hard I “buckled down,” it wouldn’t budge. I watched in horror as the number kept climbing. Nothing I was doing was working. I was shaky. My hormones were going crazy, and my weight just wouldn’t come off. My doctors ran test after test and kept saying everything was within “normal” ranges. But this wasn’t normal, and I couldn’t keep it up any more. A nutritionist friend of mine even gave me some advice (more good carbs), which certainly helped me feel better. It didn’t help with the weight, though. I knew I needed to do something different, but what? I don’t do “fads,” and knew that I could no longer sustain a low carb diet for any amount of time. At my core, I’m also against weight loss shakes, pills, and any industry designed to prey on women’s body insecurities. There wasn’t much left, I thought. Finally, I heard about Trim Healthy Mama. This post contains affiliate links which earn me a small commission. You can read details on how that works here. To be honest, I’d seen it mentioned in groups for a few months, but I’d brushed it off. It sounded like one of those meal plans that allows for tiny portions and special shakes. Without even looking into it, I knew it wasn’t for me. Then, one day, I saw a blog post about it from a blogger friend. I guess she caught me on a weak day, because I decided to open it and see what it was about. By the time I made it to the end, I was on Pinterest searching out more info on the basics. By the end of the week, I’d ordered the plan book from Amazon and drank in the whole thing. It makes sense. And really, it wasn’t a huge difference from what I was already doing. Some small changes would have me on track with this plan and I decided to dive in. The biggest difference that I noticed with Trim Healthy Mama over how I was eating before is that it matters how you eat. As far as whole foods goes, not much is really off the table in this plan. Processed foods, sugars, and high-glycemic foods aren’t on plan, but you don’t have to cut out any major food groups. The plan was worth a try, I figured. I’ve been eating the Trim Healthy Mama way for a month now. I certainly feel better. My energy levels are higher, my hormones seem to be getting back to normal, and my moods have improved tremendously. I also lost 2 pounds. It’s not a lot, but it’s more than I’ve lost in a long time. It didn’t feel like work, either. I’ve watched the scale climb for close to 2 years now. Despite a healthy diet. Despite understanding basic nutrition. 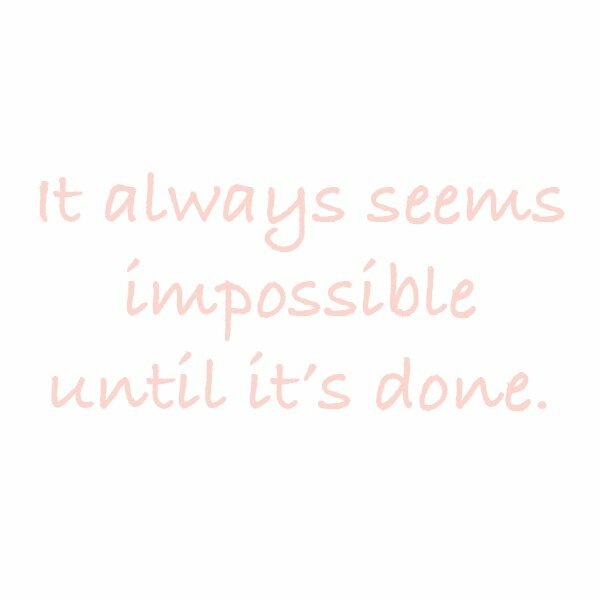 Even despite feeling deprived and frustrated for months at a time before giving up. 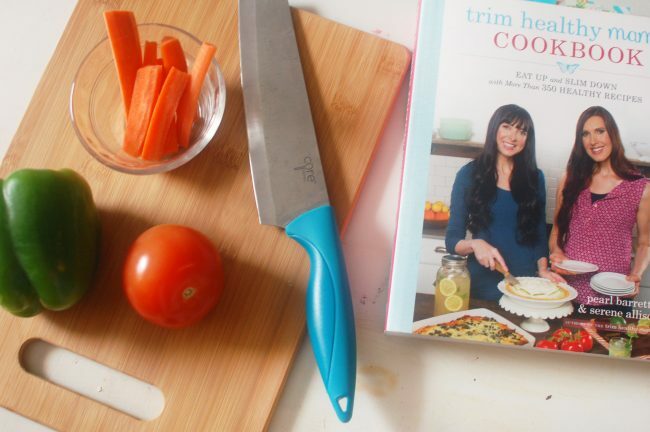 Trim Healthy Mama doesn’t even feel like a diet. It feels like sustainable, gentle, healthy weight loss. I have stuck with it for a whole month now and don’t feel deprived at all. This is something I can stick with as long as it takes. I’m pretty confident in that. If you’ve been looking for a more gentle and sustainable approach to health and weightloss, it’s worth trying. I’ll be continuing to share a bit about my journey over the next few months. Want to join me? 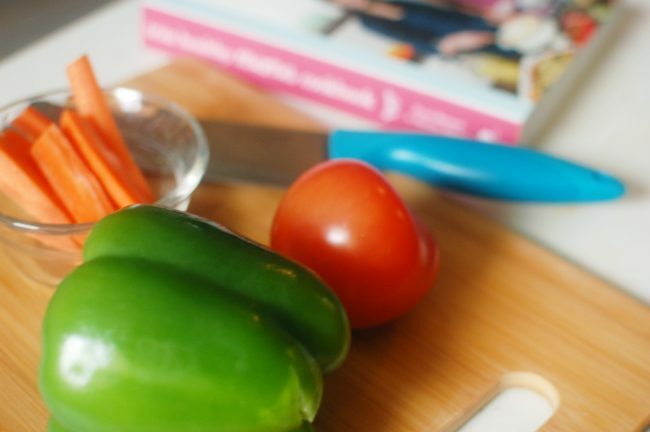 Grab your plan book here, or grab one of their cookbooks, with a simplified version of the plan included right here!